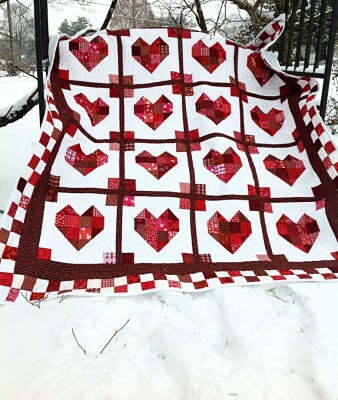 This fun lap/wall quilt was finished on a rare snowy day so I had some fun with the photos. 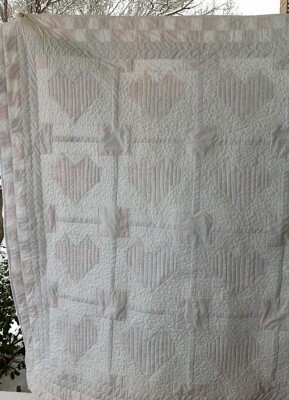 Made as a leader/ender project using the "Scrappy Heart Quilt" pattern by Cindy Carter, it is pieced all in red and white. The backing is a white tone-on-tone with a modern circle pattern. The batting is a polyester for extra puffiness. 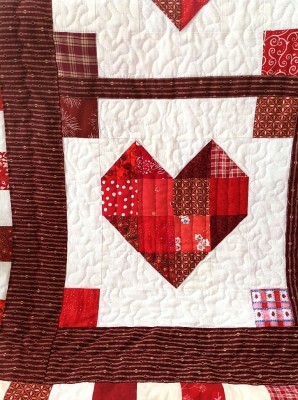 How much fun to snuggle up with your valentine under this one!